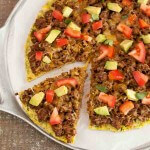 These low carb, gluten-free Spaghetti Squash Pizza Nests are made with low carb spaghetti squash and filled with pizza toppings. 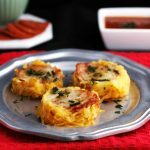 Spaghetti Squash Pizza Nests are tasty, low carb, gluten free, noodle nests with pizza inside. Sometimes you want pizza and spaghetti. But you don’t want all those carbs. I also have included an easy way to bake a whole spaghetti squash, and then cut it open once it is soft, cooked, and cuts like butter! I don’t know if you have tried to cut one open before baking it, but it is not an easy task. At least it is not easy for me and my elfin, child-sized hands. Not to mention, I don’t exactly have the upper arm strength of Thor God of Thunder, and the hubby is not always around when I need brute strength. I keep telling my hubby that I’m the brains and he is the brawn of this operation, but he thinks he should be the brains too. So, I told him he could be the looks and the brawn, and he was quite happy with that, lol. Watch The Recipe Video Above the Post. Preheat oven to 400 F (204 C), and line or oil a baking sheet. Using a skewer or knife, poke holes all over the spaghetti squash. Place on baking sheet and bake for an hour, turning over halfway through. Remove squash from oven and cool until cool to touch. Leave oven on 400F (204 C). Grease or oil 2 muffin pans. While squash is cooling, Combine in a medium size mixing bowl: tomato sauce, garlic powder, Italian seasonings, and oregano. Mix together. Once squash is cool, slice in half and using a fork scrape noodles into a large bowl. Add the beaten egg or eggs to the squash noodles and stir together. Place squash noodle mixture into muffin cups and make a well in the center of each with a spoon. Add tomato sauce mixture to each well. Add a pepperoni slice to each well, and sprinkle each with grated mozzarella cheese. Sprinkle with chopped basil, and bake at 400 F (204 C) for 25 minutes or until set. 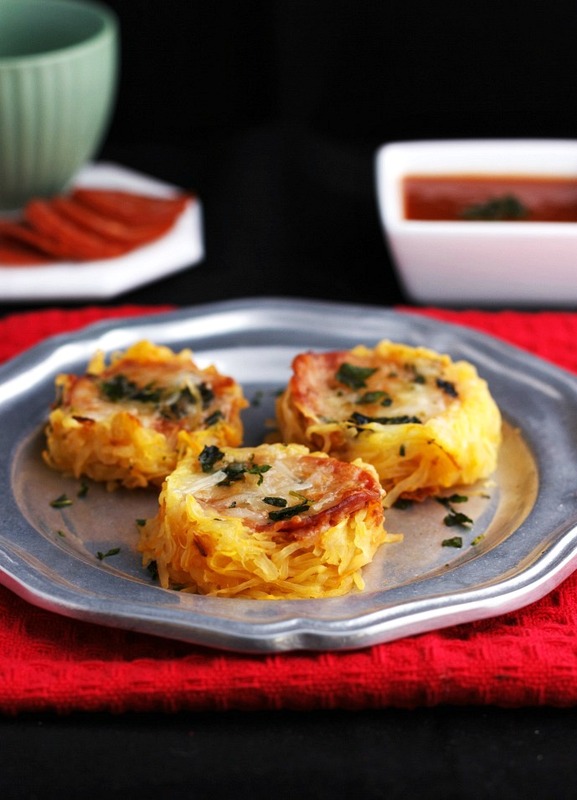 Spaghetti Squash Pizza Nests are tasty, low carb, gluten free, noodle nests with pizza inside. 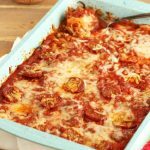 What a great idea for spaghetti squash! These look delicious and I need to make them! A great post and easy to follow video instruction too! Nice one. Wow! It’s so gorgeous and I love how healthy it is! Mmmmmmm…. I love spaghetti squash! And these are so cute! These are so yummy! I love the pepperoni in the center, it adds so much pizza flavor to these cute little nests. Love how cute AND delicious these are! These are so cute and healthy too! 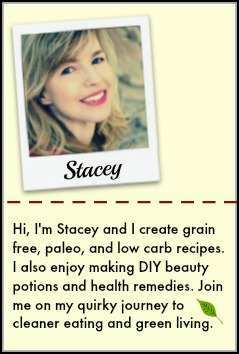 I can’t wait to try them Stacey! Can’t wait to see if THIS recipe will convince my kids that spaghetti squash is not all bad!! Looks SO tasty! This is the only way I can get my son to eat spaghetti squash, lol. Oh delicious!! Tomato sauce is complete comfort food for me. I can’t wait to make these fall treats!! How cute are these? They look like perfect little bites. I would def like to know that as well! Any chance you could skip the egg? Or any kind of replacement work? 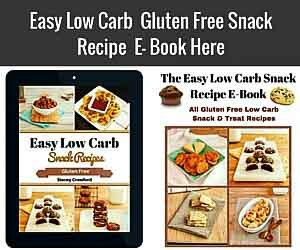 Just made these, super amazing, im currently doing keto diet and this was right in the wheel house, will reccomend this to others. Thanks for sharing. Just wondering if you had to remove the excess water from the spaghetti squash at all or if you just used it as is? I know with other recipes it was always noted to remove the water (squeezing it out in a towel) so the finished product is not too watery. Can’t wait to try this, I love spaghetti squash, and its versatility!! Hi Marjorie, I did not remove the excess water in this recipe. The moisture from the squash noodle dries out while baking. You could remove the excess moisture from the noodles if you want to. These were delicious Stacy! My gluten free son loved a new treat especially with pizza toppings. He says the “nests” will be great to use for our Easter lunch! I’ve cooked the spaghetti squash in a crockpot with a little water until it got soft then cut it open much easier but this was easy too! Thanks again! Thank you so much Jenifer 🙂 These would be great for Easter. Your son is so clever, I never thought about that! Thanks for the crock pot tip, I will try that next time. Can’t wait to try this!! Another really easy way to cut through a spaghetti squash is to microwave it for 3-5 minutes… Softens it right up! You can slice and brush with olive oil and bake face down on a baking sheet. Will be making these this weekend, thank you for sharing. Have you tried freezing them? Andrea, I have not tried freezing them, but I have kept them covered in the fridge for almost a week. We loved these, Stacey! Tried them for our Friday night pizza night and it was a huge success! This is so creative and fun, I can’t wait to try it out because I love everything pizza! Would love to curl up in one of these delicious nests!! 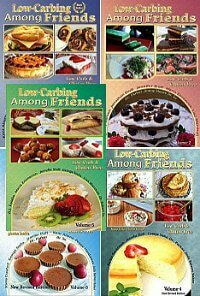 I want to try these but am on Weight Watchers (WW). The WW points calculator requires adding the number for saturated fats. Are the sat fats 0 for this? I didn’t see anything that would add them but wanted to double check. These look great! Hi Ann, It is 1 g saturated fat per 2 nests. I have all the fat counts, but usually only post the total fat count. I can start adding the saturated fat count if it helps. That would be great! I’m sure other WW trackers would appreciate it too. Thanks for your quick response! This is such a great invention ! 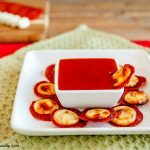 I love portable foods and this could be perfect for appetizer/finger food too ! 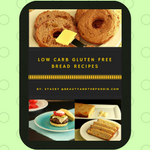 Thanks for sharing this wonderful recipe ! What a great idea! I have to try this. I have a HUGE spaghetti squash on my counter that I have to bake. These look so delicious! I’m going to have to make these for my family soon. My youngest would gobble these up. Oh how cute! My kids would love these. And good idea to cook the squash whole. They sure CAN be hard to cut before baked! Thank you Michelle. Yes a girl could cut a finger for sure. These are freaking ADORABLE! 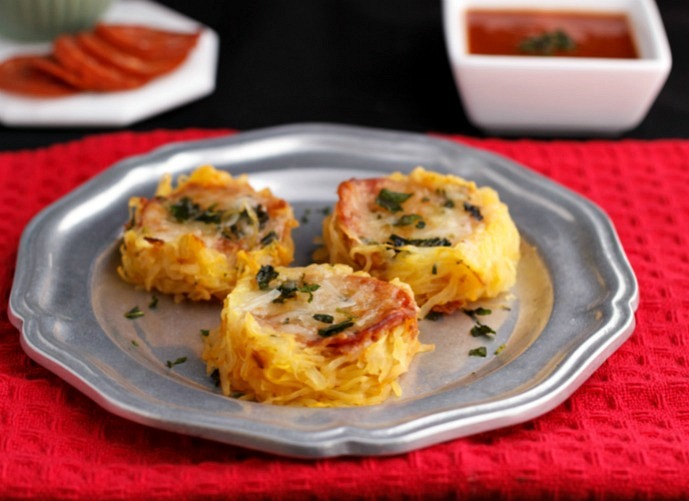 What a creative use of spaghetti squash! Bethany, I know what you mean, lol. Oh this is super fun! My girls would love this and it is the perfect size for my toddler’s hands! 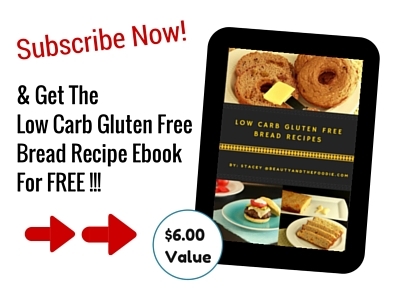 The recipe looks delicious – and the video makes it so simple! I never would have thought I could make this successfully. Thanks!